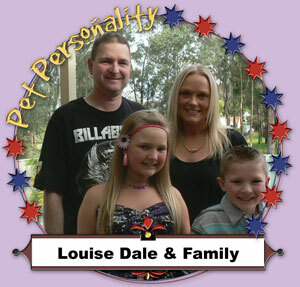 Louise Dale and together with the my family run a pet boutique in Penrith NSW called "Pets Charming". Louise is passionate about animals. She has set out in life to raise her family and to share her love of animals with others, to educate and to ensure that people take on their new pets as a part of their own family or to find their new best friend. 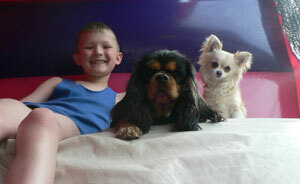 Louise has loved animals from a very young age and says "I just couldn't imagine my life without them in it. My goal is for everyone to experience the love and joy an animal can bring, especially young children because they can learn so much from owning a pet. It teaches empathy, love, responsibility, caring and compassion." Pets charming has been warmly supported by the local community since opening a year ago. The pet boutique has also proved very popular with those from further afield who happily travel from other suburbs towards the city beaches and as well as outer Sydney suburbs like Bathurst and Lithgow. 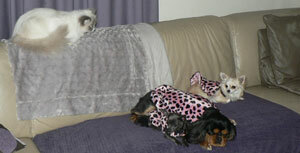 The online store allows pets and pet products to be transported across Australia. Louise passes on her knowledge and love of Mini lop rabbits, ragdoll cats and Chihuahua puppies to others. She is a font of knowledge about these breeds and others too. She says, "All our animals come with Full education and food/care packs upon going home and we offer full ongoing support and after care service. 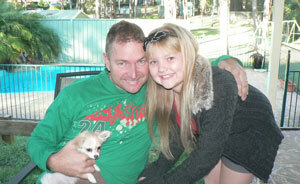 Whether its 6 days, 6 weeks or 6 years down the track I am here for advice and support for you and your pets." 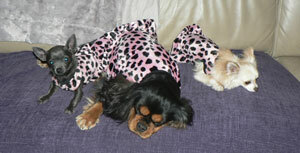 Louise has branched out and now sells a large range of unique and inspiring items like bunny tutus, a doggie couture clothing range, diamante collars, puppy carriers, and even car seats. "Every product is road tested personally by me so I can offer my opinions on each and every item. I believe the more interaction that can be provided between a pet and their owner the better." I was lucky enough to go to a girls’ high school that had an ag plot so we had chickens and goats at school and when I finally got my license I bought a horse named Goldie. My dream was always to live on a little acre with lots of animals so I guess you could say I’m living that dream now on my little slice of paradise. My neighbours have parrots so it sounds like a rainforest most days. Every morning before work I go and check on all my babies and make sure they have everything they need for the day. I just couldn’t imagine my life without precious animals in it. Even though they can be a lot of work, no matter what kind of day you have had, you’re guaranteed a smile when you are with your animal friends. Louise has also started up a blog page www.petscharming.blogspot.com so if you love animals as I do you can get your daily fix of animal antics , photos, stories and reviews. Louise is a shining example of someone who took her interest and hobby to the next level. She has made it part of her live and part of her family as she shares her love of animals with her children who help her in the business. She talks about the joy she gets from customers, "I just love my job! Even though I'm so very busy these days It's very rewarding when a customer tells you things like, "Thanks for spending so much time answering my questions", or " I've never met someone who made me feel so good about owning a pet", or seeing someone cry when they come to pick up their new baby..." Till one has loved an animal ones soul remains unawakened. at the Mt Gravatt Show. 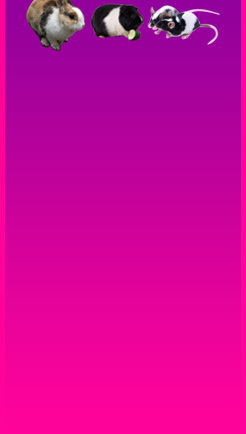 *There are currently 172 people online.